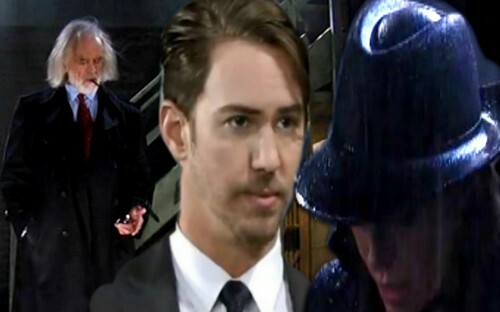 General Hospital (GH) spoilers tease that Peter (Wes Ramsey) could have another huge story coming up. Anna (Finola Hughes) recently fought with Sonny (Maurice Benard) over Heinrik’s guilt. She suggested that Heinrik shouldn’t be blamed for his father’s crimes. Anna holds Faison responsible for what he drove his son to do. Of course, Anna probably puts some of the blame on herself as well. She had to hide the fact that she was Heinrik’s mother. It was the only way to make Faison lose interest in him. The lack of attention took a toll on Heinrik, who we now know is Peter. General Hospital spoilers say Anna will try to find out the alias Heinrik is using. She’ll hope to get to him before Sonny and Jason (Steve Burton) make their move. Anna won’t want Peter to end up dead or behind bars. She’ll do whatever she can to give Peter a better life, but that plan may not pan out. Unfortunately, Peter’s heart is cold and hard. We certainly haven’t seen a lot of warmth from him at this point. Any mild kindness Peter’s shown is probably an act. Faison was a monster, but Peter still spent years craving his approval. He wanted to emulate his father, so that says a lot about what kind of person he is. Peter doesn’t seem misunderstood; he seems evil! Since Faison’s brain is still around, it could be used for more memory mapping. Thanks to orders Faison left behind, Peter might receive his dad’s memories. Then again, this could be Peter’s idea. He might be obsessed enough to want the same experience. Peter may believe he can become a new and improved version of his father. Regardless, it could be a mistake to treat Peter with kid gloves. Anna wants to offer protection, but she may just be enabling him. Peter could grow into an incredibly powerful GH villain with Faison’s memories and expertise. If Peter essentially becomes Faison, he won’t let anyone stand in his way. Since Anna would inevitably intervene, it’s easy to imagine her loved ones landing in danger. Peter might threaten the lives of the people Anna cares about. She made a big show about winning and finally being rid of Faison. That may not be true just yet. If a friend or family member’s life is on the line, Anna might be willing to pump a bullet in Peter – aka new Faison. He may leave her with no choice. It’d be a fitting end to this General Hospital storyline. Faison killed one son by shooting Nathan (Ryan Paevey) and Anna could be forced to kill the other. 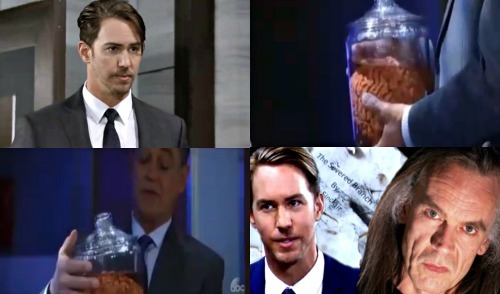 Wes Ramsey is on contract at GH so this storyline will most likely make it all the way until May sweeps. Do you think Peter will pay the ultimate price for his actions? Will Anna’s efforts to reform him fail? Will she be responsible for Peter’s demise down the road? We’ll give you updates as other GH news comes in. Stay tuned to the ABC soap and don’t forget to check CDL often for the latest General Hospital spoilers, updates and news.